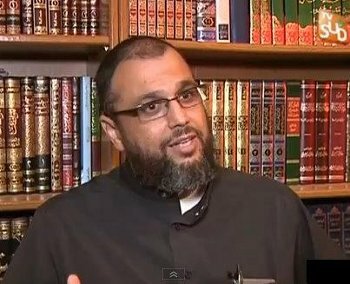 During his sermon in Montpellier, translated by MEMRI, Imam Mohammed Khatabi sough to rile up the crowd by suggesting that “Westerners” do not see Muslims as human, while urging them to reject any affiliation with or loyalty to the French Republic. “Our banner, our homeland, our borders, our tribe, and our nation are all (summed up in the phrase) ‘there is no God but Allah and Muhammed is his messenger,'” he said, outlining the same pan-Islamic creed shared by Islamist groups including ISIS, Al Qaeda and the Muslim Brotherhood. He accused the French government of wanting to fly a French flag over the mosque in order to “control” French Muslims. I swear to Allah that they want a flag to fly over this mosque. They want it to belong to some country or another,” he derided. France and other Western nations seek to control Muslims “because the Muslim is a sleeping giant, and if he awakens woe betide anyone around, because he will restore glory to humanity.” he said, continuing to outline how Western legal systems are in fact “Zionist” plots. “According to scientific statistics, all the institutions in charge of human rights are Zionists,” he informed his audience. Towards the end of his speech, Khatabi spoke of a desire for Muslims to “rule” Europe according to Islamic law. “We want our children to penetrate the political realm in the West,” he declared. “You will never get [your children] there through the means of Islam. No. You must get them there through their [Western] rules, not yours,” he concluded sarcastically.